Can I drive a car 12,000 miles without an oil change? They used to say only drive 3,000 miles between oil changes and I always drove 6,000 without an issue. I’ve been driving for 17 years. Now, they say to only drive 6,000 miles between oil changes. So can I drive a car 12,000 miles without an oil change? Best Answer: It depends on the "health" of your car, the conditions in which you drive, and the type of oil you used for the last oil change. Personally, I think getting oil changed regularly is a lot cheaper than a repair that is needed because you tried to cheap out on the oil changes. The newer cars have cam advance actuators with adjustable cam timing. 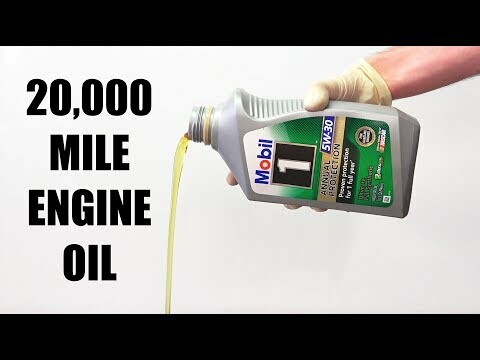 You can go 5,000 if using synthetic oil or change it every 3,000 miles yet if using regular oil. The can advance actautors get tarnish build up from the old black oil and start sticking, Average cost to fix the problem is $5000 to $8000 dollars. if you're oil gets black you better change it! How low does the oil level get between oil changes? The piston rings will seize up on the pistons and the motor will start burning oil. I know most people don't listen so good luck when the motor starts burning a quart of oil every 600 miles! Some synthetic oils can go that far. Depending on the vehicle and your driving habits, MAYBE. If the owners manual says 3.000 you are pushing your luck going 4,000 miles between oil changes,even with modern oils. Some newer cars don't even have a recommended oil change interval and use a sensor to determine when an oil change is needed. You can, but it is unwise. Probably, especially if it is on the highway and you drive long distances. But if anything did go wrong, you would feel pretty stupid for trying to squeeze every last mile out of it. In theory, yes. Mobil 1 now has an oil they label "Annual protection" that is made to be changed every year or 20,000 miles, whichever comes first. I will let you draw your own conclusions, but check out the video. On the other side of the ledger, the now-defunct Honda FAQ website had a photo show from q-slim, a Toyota mechanic who was doing a sludge cleanup on a 2000-ish Toyota V6 that had 9000 miles on it. What should the capacitance be in a condenser on a Tecumseh HH60 external ignition motor?